Home Business Ideas Fundamental Analysis Vs. Technical Analysis: Which Is Better? Both fundamental analysis and technical analysis are important for trading. However, when you’re talking with experienced, successful traders, you’ll find that they seldom agree about which one is more important. Nor can they come to a consensus on how much emphasis a new trader should place on each. For example, some traders base their trades entirely on technical analyses. These traders say they only look at fundamental analyses for background. Others will largely ignore technical analyses and focus primarily on fundamentals. Who’s right? Well, a lot of that, of course, has to do with a trader’s style. In general, both budding and long-term traders need to look at both fundamental analysis and technical analysis when it comes to forex trading. However, since beginning traders are not often sure how to place the emphasis, this can be confusing. Nonetheless, there are some broad observations that can help. Therefore, if you’re trying to raise money for your business by doing some forex trading, read on for some guidance. In this post you’ll learn more about the differences between fundamental analysis and technical analysis. Currencies change value over time, primarily due to underlying economic, political, and social factors. Moreover, these fluctuations in the prices of currencies drive the forex market. It’s also important to note that as their prices change relative to each other, the individual values of currencies change as well. These forces factor into what we call forex fundamental analysis. For example, let’s say that a currency’s fundamental value is changing. This could be because of a change in that country’s tax policy, economic situation, trade agreement, or some other condition. Ultimately, then, the currency pairs it is a part of will also change. On the other hand, demand for the currency also changes its value in relation to that of other currencies. For instance, if people buy or sell a lot of a particular currency, it will change price. These moves cause the peaks and valleys in the currency charts. Moreover, these fluctuations are frequently unrelated to fundamental issues. Of course, fundamental changes do drive demand. However, small fluctuations in a currency’s value are often the result of who is coming to the market, and who is leaving. Fundamental changes in the value of a currency are often relatively significant and take a long time. The process of a country going into recession, for example, usually takes several months. And, if it’s the only currency in that condition, this can cause considerable changes in the value of that currency. On the other hand, if a country manages its economy well, the value of its currency can sometimes double or even triple over a few years. There are arguments for why this might not be a good idea for trade balance and deflationary pressures. However, it might also be inevitable for a country given its economic realities. Also, there could be other specific conditions that might make such an outcome desirable. From the descriptions above, we can see that fundamental analysis better supports the goals of long-term traders. Day traders, on the other hand, are more interested in technical analysis. How long a trader holds onto a position on average will typically dictate how much focus that trader will have on fundamental analysis versus technical analysis. Long-term traders might use technical analysis to determine the right moment to get into a longer-term trend they’ve identified with fundamental analysis. 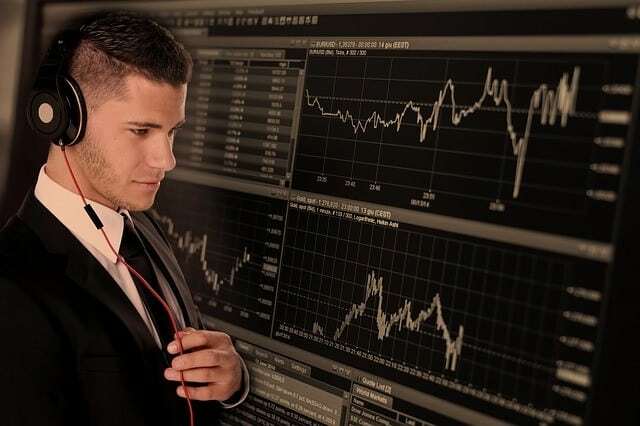 Contrarily, day traders might use fundamental analysis to get an idea of the trend, but they focus on technical analysis for their individual trades. Therefore, when you’re trading in the forex market, you should look at both the fundamental analysis and the technical analysis of the currency pair you’re considering. Then, depending on whether you’re planning on staying in the market for the short term or over a longer time, you’ll focus more on the analysis that best serves your style. Next articleWhere Are the Best Places in Texas to Buy Real Estate for Rentals?